GREENVILLE, Ky. — Many basic Soldier skills are not always your everyday tasks; fieldstripping an M-16, searching a detainee, details of drill and ceremony. This knowledge is part of what should be in every Soldier’s toolbox and to a select few each year, these tasks become a competition. All combined, the proficiency of such tasks, along with marksmanship and physical fitness, push some to become the best of the best. 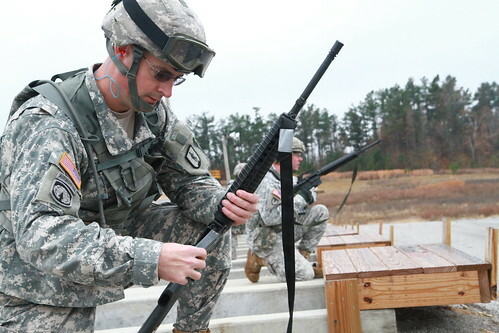 On the track, at the range and in the fields of the Wendell H. Ford Regional Training Center, 14 Kentucky National Guardsmen put their skills to the test in the 2014 Soldier of the Year competition, Nov. 15-17. “Getting back to the basics of soldiering, that’s what the Soldier of the Year Competition is all about,” said State Command Sgt. Maj. Thomas Chumley Jr., who oversaw his first competition as the State Command Sergeant Major. “I wanted to challenge them, I wanted to challenge them mentally, physically and spiritually. When they leave here, I wanted them to feel like they’ve earned something,” he added. From the moment competitors arrived, the pressure was on. Soldiers, NCOs and Senior NCOs alike were forced to rely on their training and experience as the weekend tested their abilities as an American Soldier. The Guardsmen first sat down for the written tests and essay questions to start the weekend out quietly on Friday evening. But before the sun rose on Saturday, the quiet was gone as each Soldier completed the Army Physical Fitness Test, then were off to the range for individual weapon qualifications. When the last round was fired, they traded their rifles for compasses and maps and negotiated the Muhlenburg County terrain in a challenging land navigation exercise. 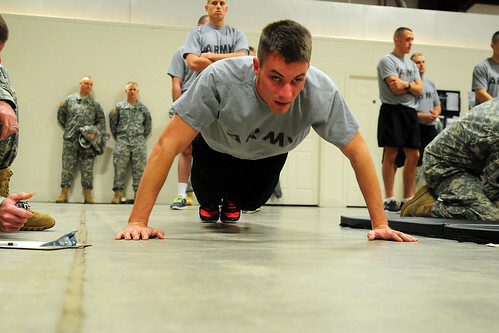 While in the field, a variety of Army Warrior Tasks awaited each Soldier to test other skills. “The weekend was jammed packed for sure,” said Owenton, Ky., native, Staff Sgt. Nicholas Anglin with the 201st Engineer Battalion who was named NCO of the Year for the competition. Spc. 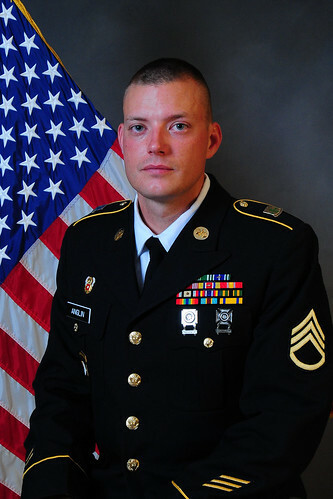 Christopher DeLeon with the 2123rd Transportation Company from Richmond, Ky., was the runner-up in 2012. After a year of working hard, studying and increasing his PT, DeLeon returned to capture the Soldier of the Year title this year. 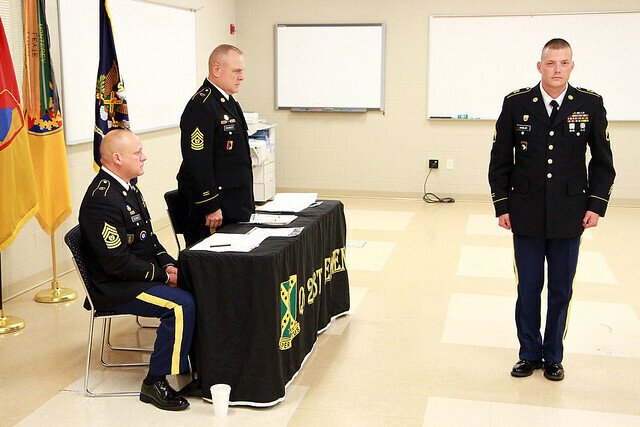 “I will take everything I have learned from Soldier of the Year and apply it to my 2123rd Soldiers and maybe be a sponsor for another Soldier to come here next year and train him to keep the reign of the 2123rd,” he added. Chumley said he has been involved with similar competitions at various levels in his career and that the Soldiers inspire him each time. This year’s Soldier of the Year competition was just another reason why he loves doing his job. 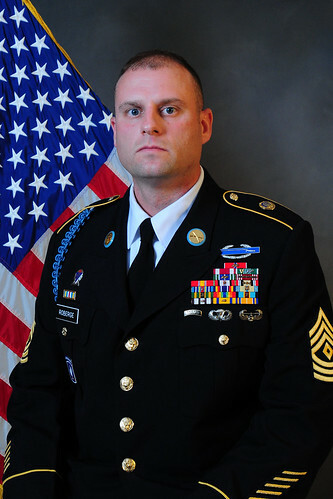 Soldier of the Year – Spc. 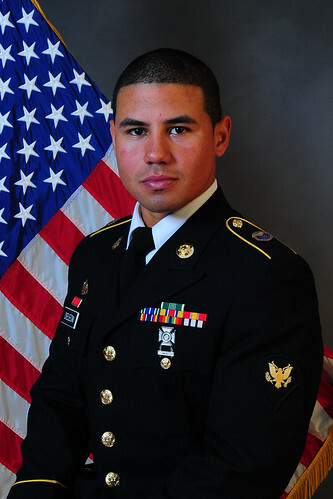 Christopher DeLeon, 2123rd Transportation Co. from Richmond, Ky.
NCO of the Year – Staff Sgt. Nicholas Anglin, HSC 201st Engineers from Owenton, Ky.
Senior NCO of the Year – 1st Sgt. Matthew Roberge, 1/149th Infantry from Nicholasville, Ky.